CaminoWays.com has partnered with Peter from D-Pete Health and Fitness clinic in Dublin to share professional fitness advice and help you prepare for your Camino de Santiago trip. Peter has created this dedicated 6-month Camino preparation plan, easy to print and follow. In the coming months, Peter will be sharing his specialist training tips month by month to get you in shape for the Camino. 2 Train days (back to back) – rest – Train – rest – Train ….and so on!! *Contact D-Pete Health & Fitness Clinic if you require personal advice on health and fitness ahead of your Camino de Santiago. Hi. Am beginning my plans for the full French Way beginning next April (2015). I plan to finish on May 22 (my 60th birthday). I have a history of marathon running, just not in the past 5 years. Am comfortable with 10 km walk/runs now. What more can I be doing for the preparation? 1. Aerobic Exercises such as Squats, Standing Knee Raises, Abdominal Curls, Step ups (using the stairs at home) and so on will increase your Cardiovascular and Muscular Endurance which is important for your Camino. This can be done before and after your walk! 2. Walk a route that has More Inclines! With regard to your progress so far, Well Done! 10Km 5 days a week is fantastic! Keep up the good work! The fact that your did the Camino Sarria to Santiago last October also gives you a great advantage. So if you want to up the tempo, then any of the above will do. You know what your limits are and what you are capable of, and so I will say this, always listen to your body. Our bodies constantly communicate with us, telling us what is wrong, what we are lacking and what we have too much of and so on. For further information i.e. 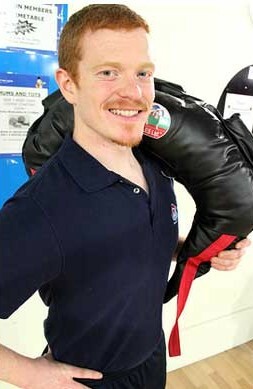 learning some aerobic exercises, stretches, information on managing old or reoccurring injuries, feel free to visit the D-pete ‘Health & Fitness’ Clinic otherwise if you are not based in Dublin, contact a local Fitness Instructor to teach you some exercises or a your local Physical Therapist/ Physio if you have questions regarding injury. I hope this Helps Gerald! By the way where are you based?